Home » Our Doctors » H. Frank Storey, O.D. Dr. Storey did his undergraduate studies at Oregon College of Education and received his Optometric training at Pacific University. He is a member of the Oregon Optometric Association, American Optometric Association, the Contact Lens Section of the AOA, and is a Fellow of Optometrists in Vision Development. 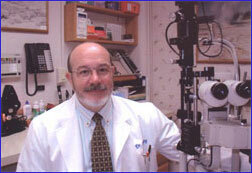 Dr. Storey has lectured throughout the United States on various eye care topics. He has been active in both the state and national Optometric associations and has served on several national Optometric committees.He is on staff at Santiam (Stayton) Hospital. Dr. Storey has been named Oregon Young Optometrist of the Year, Oregon Optometrist of the Year, and received the Oregon President’s Award.